Marilyn Carroll Biggins, Carolynn D'Antino, Mickey Carroll Varro, Carroll Witherell Fultz Gartner, and Patricia Gubbins Stilz contributed to this family history. Chicago, Near West Side, 1906-1907. 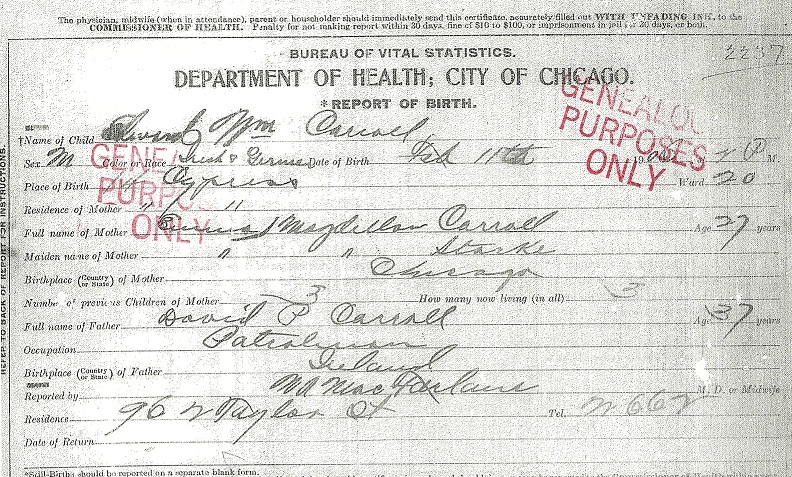 Edward William Carroll was born at home on February 11, 1906. The U.S. flag had 45 stars, the most recent one being for Utah. The President was Theodore Roosevelt. St. Charles Borromeo Church, Twelfth and Cypress (now Hoyne) Streets. His family lived in St. Charles Borromeo Parish on the Near West Side at 14 Cypress (913 S. Hoyne Avenue after 1909) in Chicago, Illinois. St. Charles Borromeo Parish, at 2060 W. 12th Street (Roosevelt Road), was started in 1885 and closed in 1968. Edward William Carroll was the fourth child of David and Emma Starke Carroll. His sister Catherine was born in 1900. 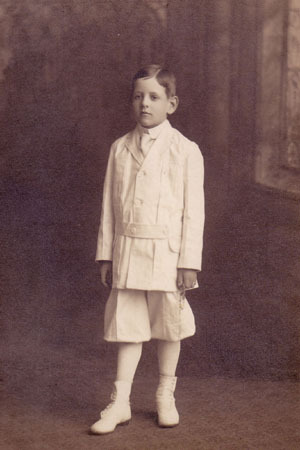 A brother David was born in 1902, but died of scarlet fever on May 26, 1906, just a few months after Edward was born. 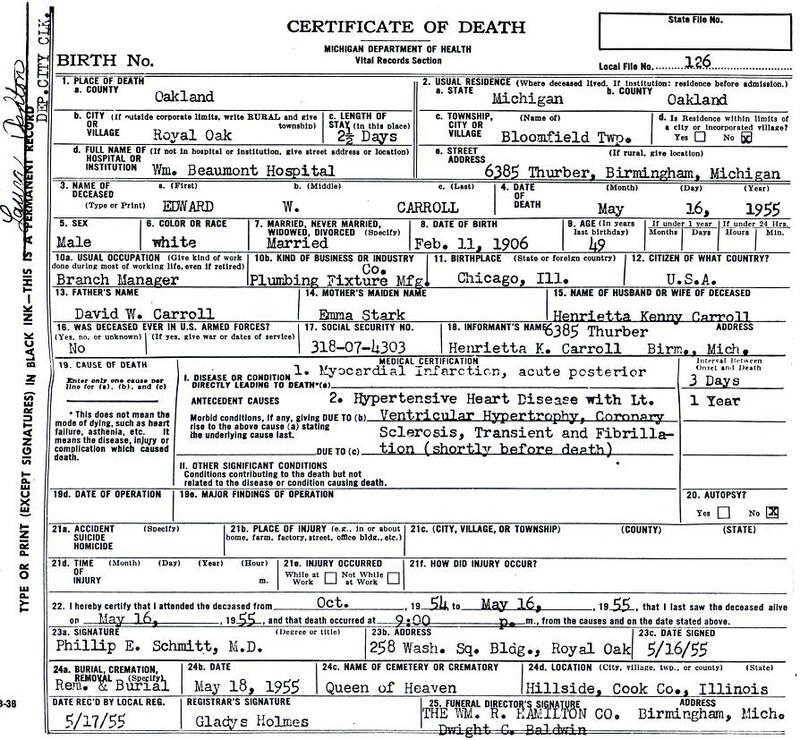 A sister Mary was born in 1904 but had died of whooping cough on December 6, 1904, a little over a year before Edward was born. Edward's father was a patrolman with the Chicago Police Department. Edward was half Swiss and half Irish. His maternal grandmother, Kathryn Meyers Starke, lived in St. Francis of Assisi Parish at 609 S. Canal (1420 S. Canal Street after 1909) at the intersection with Barber Street. St. Francis of Assisi Parish, at 813 W. 12th Street (Roosevelt Road), was a German parish opened in 1853. His maternal grandfather, George Starke, had died in 1895. Both were born in Switzerland. 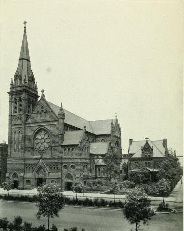 Edward's paternal grandparents, Edward and Catherine Higgins Carroll, lived in St. Charles Borromeo Parish at 1165 W. 13th Street (2146 W. 13th Street after 1909). 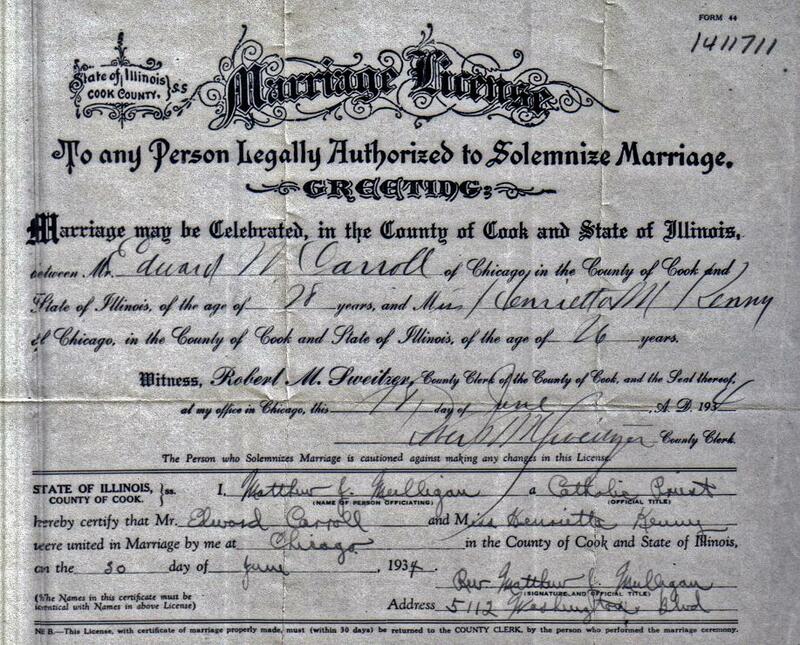 Edward and Catherine Higgins Carroll were born in County Limerick, Ireland. Edward had worked as a laborer. Edward died of nephritis on April 26, 1906, two months after Edward William was born. He was 70 years old. Chicago, Garfield Park, 1907-1934. In 1907, Edward's family moved six blocks west and four blocks north, from St. Charles Borromeo Parish to Precious Blood Parish. 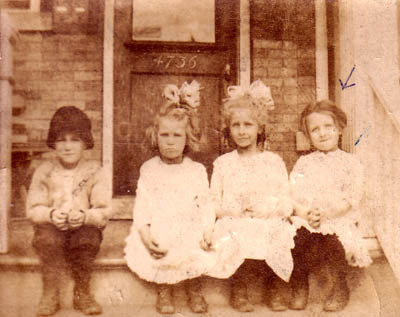 They lived in the East Garfield Park section of Chicago at 1147 W. Congress Street (2701 W. Congress Street after 1909). On September 14, 1907, Edward's sister Genevieve was born. Two years later, on December 28, 1909, Genevieve died of tubercular meningitis. On September 14, 1908, Edward's grandmother Catherine Higgins Carroll died at age 62 of nephritis and heart disease. On October 31, 1909, Edward's sister Emma was born premature (6-1/2 months). Seven days later, on November 7, 1909, Emma died of inanition. 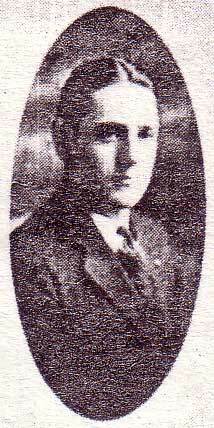 On December 15, 1916, Edward's brother Thomas Jerome was born. Ed was a White Sox fan. In 1917, Ed was 11, and the White Sox won the American League pennant when they defeated the Red Sox, 2-1, in Boston. They went on to win their second World Series title by defeating the New York Giants, 4-2. In 1920, eight White Sox players were suspended by Charles Comiskey for their part in the 1919 World Series fix. In 1921, after only two hours of deliberation, the jury in the "Black Sox" trial returns a verdict of not-guilty, but later the players were banned for life by Judge Kenesaw Mountain Landis. 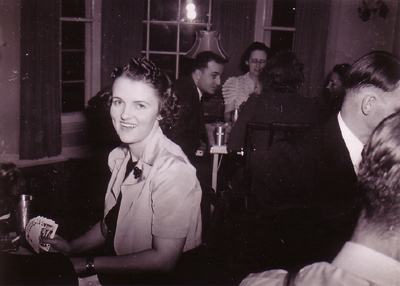 On February 8, 1919, Edward's sister Loraine was born. Sometime between 1920 and 1925, Edward's family moved two blocks north to 2730 W Jackson Boulevard, still in Precious Blood Parish. E. W. Carroll, from senior class picture at St. Mel's High School, 1924. In 1920, Edward entered St. Mel High School, a Christian Brothers school. In a 1990 letter to Marilyn Carroll Biggins, John J. Lyons, who retired in 1974 as Illinois Appellate Court Judge for the 1st District (Cook County), wrote that Edward and he first met as freshman at St. Mel High School and were in the same classes for four years. They were average students. Edward was an excellent athlete, playing football, baseball (left field), and basketball. In his Junior and Senior years was chosen on the Chicago All-Catholic High School Team for both football and baseball. Edward and John were forwards on the basketball team, which won the Chicago Catholic High School title in 1924. "He was a good student, well-liked by his friends and, because of his athletic good looks, by all the girls who knew him." Baseball was his favorite sport. After high school graduation in 1924, Edward went into the business world and also played semi-pro baseball in the Three-I League, a Class B minor league. Judge Lyons was Superior Court Judge from 1953 to 1974. Prior to that he was a trial lawyer. Edward also played handball. Judge Lyons writes that "in high school we also indulged in the old Irish game of handball, a sport we played and kept us friends for the next 35 years." They played with two other high school classmates, Frank Gill and Daniel Egan. After high school, they continued playing at the Midwest Athletic Club, the YMCA, and the Lake Shore Athletic Club. "Your Dad also starred in this sport--receiving many tournament trophies and medals. He was very handsome a popular with all the ladies"
On August 13, 1925, Edward's brother Thomas Jerome died at age 8 of rheumatosis. On July 11, 1928, Edward joined Chicago office of the Kohler Co. in the Tribune Tower. The Tribune Tower, a 34-story gothic revival skyscraper, was completed in 1925. It is located just north of the Chicago River at 435 N. Michigan Avenue. Edward started as a stenographer. On May 1, 1929, he was promoted to showroom salesman. Walter J. Kohler, Sr. and Herbert V. Kohler, Sr. provided major support to Admiral Richard E. Byrd and his exploratory expeditions to Antarctica. Five Kohler "electric plants" were donated for Byrd's first Antarctic trip in 1929. Two model K units provided power at the base camp of Little America. Although the Kohler generators remained dormant at the camp for five years following that expedition, after merely drying out the spark plugs and priming the engines, they were used to power the second expeditions in 1934. It was during his second expedition that Byrd spent six months alone at a remote outpost during the Antarctic winter, relying on Kohler generators for his sole source of power for heat, light and communications. At one time, Admiral Byrd was on his way to Kohler, Wisconsin, to speak with employees. Edward Carroll met Admiral Byrd in Chicago and had breakfast with him. Admiral Byrd was godfather of Herbert V. Kohler, Jr., who was born in 1939. Chicago, Near West Side, 1907-1908. 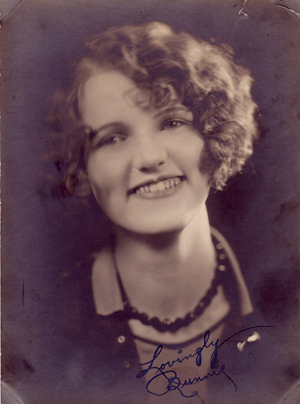 Henrietta Margaret Mary Kenny, who was called Bunny, was born on New Year's Eve, December 31, 1907. The U.S. flag had 45 stars, the most recent one being for Utah. The President was Theodore Roosevelt. 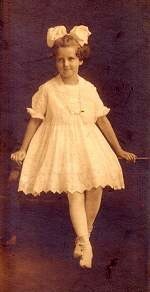 Bunny was the only child of James and Charlotte McDonald Kenny, who were married on January 23 of the year she was born. They lived at 1004 W. Lake Street (2350 W. Lake Street after 1909) in St. Malachy Parish on the Near West Side of Chicago. St. Malachy was an Irish Catholic parish located a block east and a block south at 2248 West Washington Boulevard. It opened in 1882. Bunny's father James was a railway mail clerk. He was age 36 when Bunny was born. Bunny's mother Charlotte was from Wisconsin. She was age 21 when Bunny was born, 15 years younger than her husband. 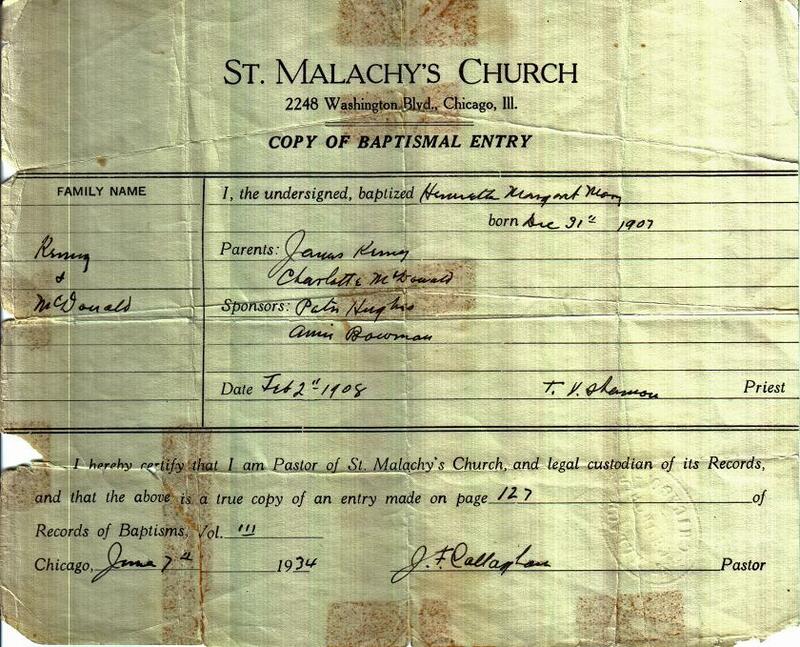 Bunny was baptized by Father T. V. Shannon on February 2, 1908, at St. Malachy's Church. Godparents were Patrick Hughes and Annie Bowman. Bunny was seven-eighths Irish and one-eighth Scottish. Her maternal grandparents, Daniel and Ellen Flannery McDonald, lived in Wisconsin. Daniel was a second generation American of Scottish and Irish descent. Ellen was a second generation American of Irish descent. 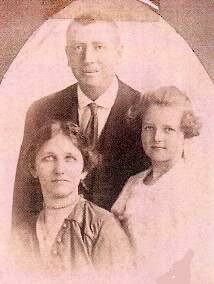 Bunny's paternal grandparents were James and Mary Hartigan Kenny. James was a teamster. He died three years before Bunny was born. Mary was born in Ireland. She had died in 1879, 28 years before Bunny was born. Bunny (arrow) at her girl friend's house. James and Charlotte McDonald Kenny and daughter Henrietta, 1913. Sometime between 1908 and 1920 the family moved three blocks west to 220 N. Leclaire Avenue, still in St. Thomas Aquinas parish. Bunny may have gone to the show at the West End Theatre around 1921. The theater was a couple blocks away at 121 N. Cicero Avenue. Daughter Mickey has a West End Theatre program that her mother gave her. After grammar school, Bunny went to Austin High School, where she joined Pi Sigma Sorority. Bunny left high school after two years but continued to be active in her sorority. One of her sorority sisters was Mary Ann Pack, who married Harold E. Rainville. Bunny worked for Frederick Wacker at Automotive Maintenance Machinery Company (AMMCO), an auto parts manufacturer, until the company moved to North Chicago. Fred Wacker was the son of the late Charles H. Wacker, Chicago capitalist and first chairman of the Chicago plan commission. 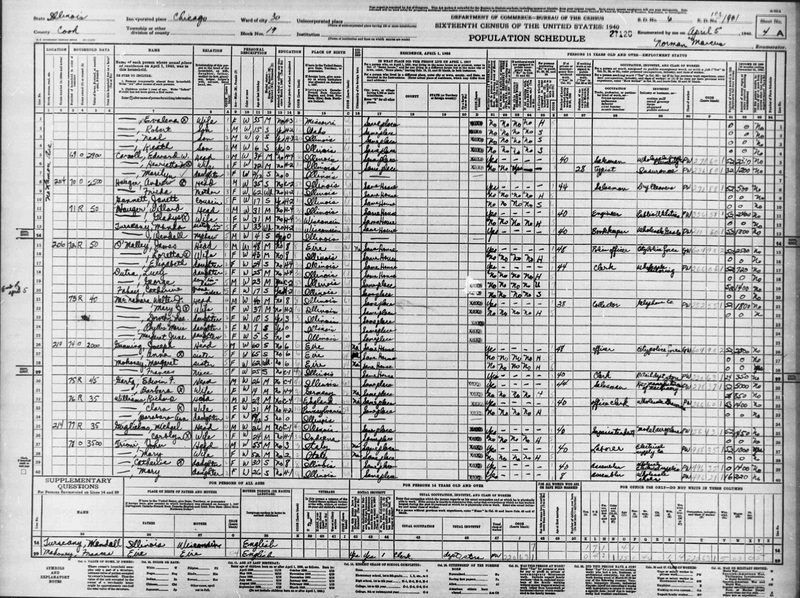 The 1930 census shows Bunny working as a stenographer for AMMCO and living with her parents. Edward and Bunny's wedding, 1934. 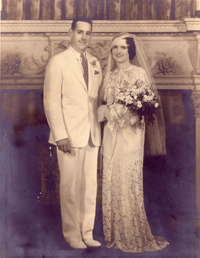 Edward Carroll, age 28, and Henrietta Kenny, age 26, were married by Father Matthew J. Mulligan on June 30, 1934, at St. Thomas Aquinas Church. The best man was Archie Revell. The maid of honor was Gertrude Gust. Chicago, Austin, 1934-1952. 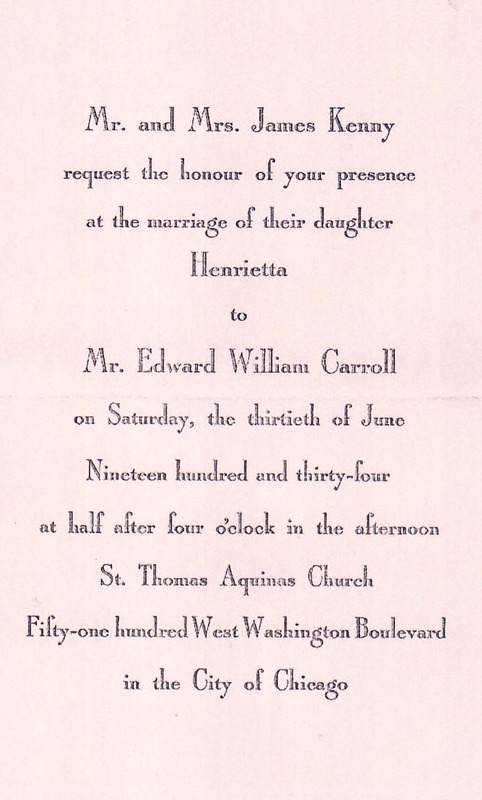 After their wedding, Edward and Bunny lived at 4955 W. Fulton Street, a few blocks west of Bunny's parents in St. Thomas Aquinas Parish in the Austin section of Chicago. Edward continued working as a plumbing fixture salesman in the Chicago branch office of the Kohler Company in Tribune Tower, and Bunny as an executive secretary for the Field Estate. In his 1990 letter to Marilyn Carroll Biggins, Judge John J. Lyons tells Marilyn that her mother and father met sometime in the 1930s. "Your mother was a very attractive and good looking girl and they made a handsome couple." Judge Lyons goes on to mention that Edward and he and nine others, most former St. Mel classmates, formed a social club called the "West Side Frolics Club." They met once a month at each other's houses for cocktails and bridge. The club continued for many years. On June 13, 1937, Bunny's grandmother, Ellen Flannery McDonald Powell, died at Bunny's mother's home in Chicago. Ellen was age 83. Ellen was buried next to her Irish-born parents, James and Mary Murray Flannery, in Calvary Cemetery in Argyle, Lafayette County, Wisconsin. 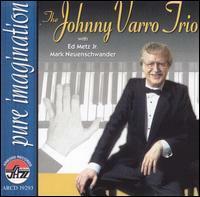 In June 1938, Edward and Bunny toured the western United States by car with their friends Charles and Catherine Meroni, who then lived in Park Ridge. Chuck was a partner in a patent law firm. A written summary of the trip shows that they took the northern route out through Iowa, South Dakota (Badlands, Mt. Rushmore), Wyoming (Yellowstone Park), Montana, Idaho, Utah, and Nevada (Reno, Lake Tahoe). In Nevada on June 22, they and 60 million other Americans listened to the Louis-Schmeling fight on radio from Yankee Stadium. In California, they went to the Golden Gate Bridge, Chinatown, MGM Studio, Universal Studio, Graumann's Chinese Theater, and the Brown Derby. They took the southern route on the way back, going through Nevada (Las Vegas), Arizona (Grand Canyon), New Mexico (Santa Fe), Colorado, Nebraska, and Iowa. "Were we glad to get home!! But what a trip!!!" Bunny in apartment at 4955 W. Fulton Street, 1934-1940. 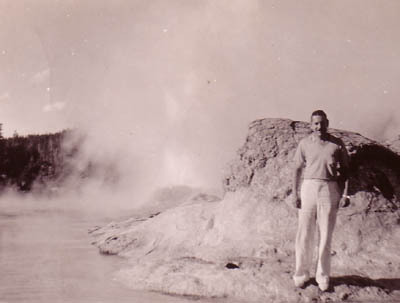 Edward Carroll, Old Faithful, Yellowstone, 1938. Bunny, West Side Frolics Club, 1944. Their first child, Marilyn Kathryn, was born January 3, 1940, at West Suburban Hospital in Oak Park, Illinois. They had been married five years when Marilyn was born. Bunny quit her job as executive secretary for the Field Estate and became a full-time mother. After Marilyn was born and before April 5 when the 1940 Census was taken, Edward and Bunny moved around the block to a 4-unit apartment building they purchased at 200 North Lamon Avenue, at the corner of Maypole Street. Edward and Bunny's second child, Maureen Joan, was born on June 19, 1942, at Garfield Park Hospital in Chicago. Maureen was baptized at St. Thomas Aquinas Church. She was called Mickey. 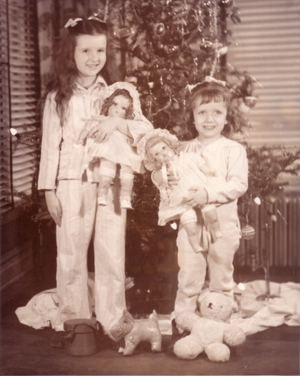 Marilyn and Mickey with dolls at 200 North Lamon Avenue, Christmas 1945. 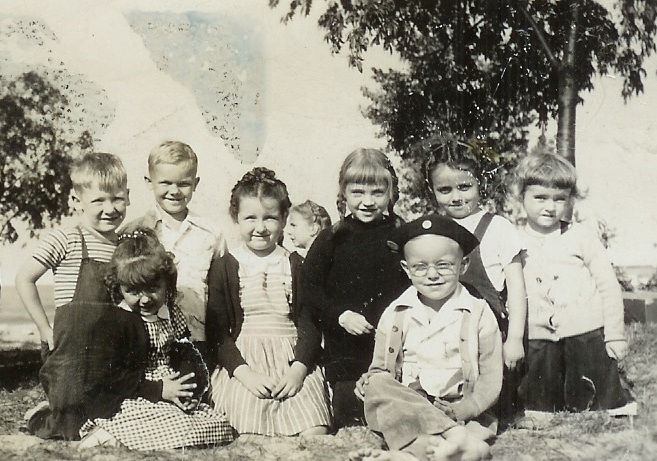 Junior set of the West Side Frolics Club at a beach party in 1945. Mickey and Marilyn are 2nd and 4th from left. Courtesy of Patricia Gubbins Stilz. 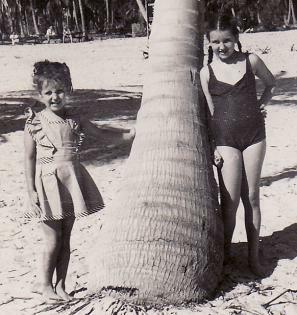 Marilyn and Mickey by palm tree in southern Florida, Christmas 1947. Mickey returning to 200 N. Lamon Avenue, 1973. During WWII, Bunny's mother Charlotte began working as an assembler for a manufacturing company as part of the war effort. Edward's parents died within three months of each other in 1944 and 1945 in their home at 2701 W. Congress Street. Emma Starke Carroll died of a heart attack on November 4, 1944. David Carroll died of a stroke on February 4, 1945. The funerals were at Precious Blood Church, and they were buried at Mount Carmel Cemetery. Bunny's father, James Kenny, died at Alexian Brothers Hospital on December 6, 1944, of cirrhosis of the liver. Following a funeral Mass at St. Thomas Aquinas Church, and he was buried at Mount Carmel Cemetery. On April 19, 1948, Bunny's mother. Charlotte Mae Kenny, fell down a flight of stairs at the neighbor's next door and died suddenly. The man next door was sick, and she was going to visit him. The hallway was dark. She opened the wrong door and fell down the stairs. The coroner certified that the cause of death was a "skull fracture" and that "the deceased fell down a flight of stairs striking her head on the basement floor." Following a funeral Mass at St. Thomas Aquinas Church, Lottie was buried alongside her husband at Mount Carmel Cemetery. On January 15, 1950, Edward was promoted to plumbing fixture salesman at Kohler Co.
6385 Thurber Road, Wing Lake. 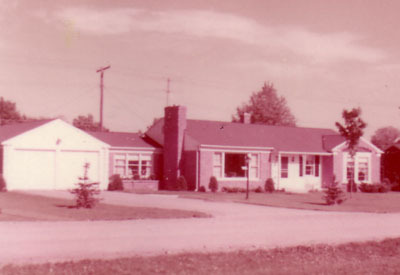 Wing Lake, 1952-1955. On March 1, 1952, when Edward and Bunny were just about to move in to a new house on Arbor Street in Glenview, Illinois, Edward was promoted to manager of the Detroit Branch of the Kohler Co. In July the family moved to 6385 Thurber Road in the Wing Lake section of Bloomfield Township, Michigan. Marilyn and Maureen went to Holy Name School and Marilyn on to Bloomfield Hills High School. Bunny became active in the garden club and became President. In 1952, the UAW organized the workers at the Kohler Co. In April 1954, the union struck Kohler in what was to be one of the longest and bitterest strikes in United States labor history. The company hired and trained replacement workers, but production slowed significantly and the inability to fill customer orders made Ed's life very stressful. On December 5, 1953, at Recreation Hall in Kohler, Wisconsin, Edward joined the Quarter Century Club and received a gold watch in recognition of his 25 years of continuous service with the company. In April 1955, Herbert Kohler Sr. traveled to Detroit and met with Ed at the Detroit branch. At night, he took Ed and Bunny to a fancy party in the area. Afterwards, he returned to their home and was introduced to their children, Marilyn and Mickey. 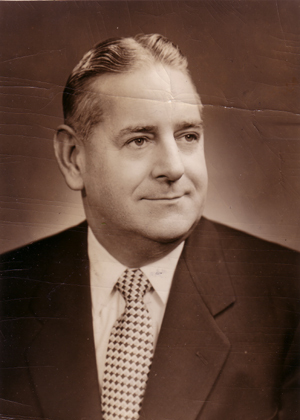 Herbert, a graduate of Yale University, had been the chief executive of Kohler since 1940, when he took over upon the death of his half brother Walter Kohler Sr. Ruth Young Kohler, the wife of Herbert Kohler Sr., had died in 1953 at the age of 47. Walter Kohler Sr. had been governor of Wisconsin from 1929 to 1931, and his son Walter Kohler Jr. was governor of Wisconsin from 1951 to 1957. The Kohler Company was founded in 1873 by an Austrian American, John Michael Kohler (1844-1900), who was the father of Walter Sr. and Herbert Sr.
Ed Carroll and daughters Marilyn and Mickey, shortly before his death. Herbert Kohler Sr., chief executive of the Kohler Company. On May 16, 1955, Edward died suddenly of a heart attack at Beaumont Hospital in Royal Oak, Michigan, at age 49. His wife Bunny was age 47. 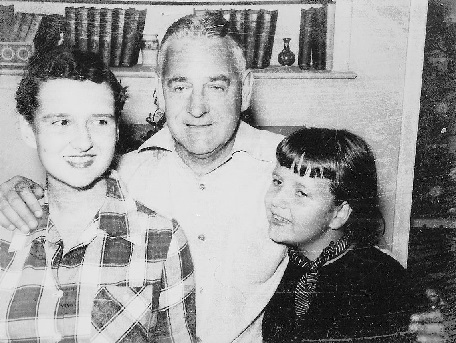 His daughters Marilyn and Maureen were age 15 and 13. He was survived by two sisters, Catherine and Loraine. The funeral was held at St. Thomas Aquinas Church back in Chicago. Herbert Kohler Sr., the chief executive of the Kohler Company, attended the funeral. Edward's daughter Marilyn counted 50 cars in the funeral procession. Edward was buried at Queen of Heaven Cemetery (Section 32, Block 14, Lot 37). Services for Edward W. Carroll, 49, of Birmingham, Mich., former Chicagoan, will be held at 9 a.m. Friday in St. Thomas Aquinas church. Mr. Carroll, who died Monday in Birmingham, had been branch manager since 1952 for the Kohler company, manufacturer of plumbing fixtures, and previously had been with the Chicago office of that company in Tribune Tower. His widow, Henrietta, and two daughters, Marilyn and Maureen, survive. E. W. Carroll, manager of the Company's Detroit branch, passed away Monday, May 16, at William Beaumont Hospital, Royal Oak, Michigan. 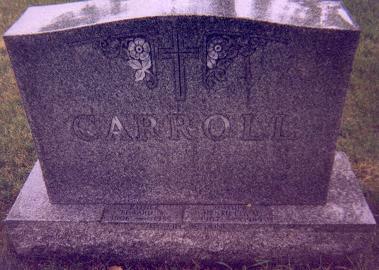 Mr. Carroll became associated with the Company through the Chicago branch on July 11, 1928. On May 1, 1929, he was promoted to showroom salesman and on Jan. 15, 1950, to plumbing fixture salesman. He was transferred to the Detroit Branch as manager on March 1, 1952. In December 1953, he received his gold watch in recognition of 25 years of continuous service with the organization. He is survived by his wife, Henrietta, and two children, Marilyn and Maureen. Funeral services were held Friday morning at the St. Thomas Aquinas Church in Chicago. Burial was made at Queen of Heaven Cemetery. E. W. Carroll. The untimely passing on May 16 of E. W. Carroll, manager of Kohler Co. Detroit branch, is mourned by his many friends and associates. Funeral services and burial took place in his native city of Chicago. Mr. Carroll had been manager of Detroit branch since March 1, 1952, and was well-known among plumbing contractors, architects, builders, and others in the plumbing trade and building industry throughout the midwest. He possessed a friendly, congenial personality, and was genuinely well-liked and respected. Loyal and dependable, he was a highly competent and able representative of the organization. Mr. Carroll joined Kohler Co. in 1928 at its Chicago branch where he first served as stenographer and later as showroom salesman, a position he held until his promotion to the managership of the Detroit branch. He was a member of the Quarter Century Club, having received his gold watch at Kohler in December of 1953. He was a member of the Knights of Columbus, the Detroit Board of Commerce, and the Michigan Trade Golf Association. Mr. Carroll was born in 1906 and received his primary and high school education in Chicago. He later attended Loyola University, where he was active in athletics. 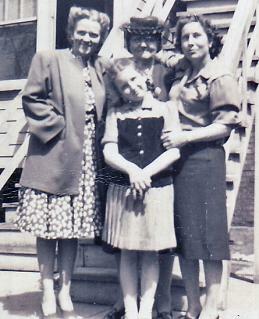 Survivors include his wife Henrietta, and two daughters, Marilyn and Maureen. They reside in Birmingham, Michigan. Tombstone for Edward and Henrietta Carroll at Queen of Heaven Cemetery, which reads: Carroll; Father Edward W., 1906-1955; mother Henrietta, 1907-1989; Thy will be done. Glenview, 1955-1962. Bunny was age 47 when Ed died. She had two teenage daughters to raise. There was life insurance, and Herbert Kohler gave her a gift of $10,000. Bunny thought about staying in Michigan, but decided to move back to Illinois. The house on Thurber Road was sold, and in August the family moved back to Illinois. Bunny bought a new house at 338 Nordica Avenue in Glenview. After 21 years as a housewife and mother, Bunny started working again as a secretary. First she worked at the research laboratories of Kraft Foods Company, 923 Waukegan Road, Glenview. In 1961, Bunny started work as a secretary at Milwaukee-Golf Development Co., owner of the Golf Mill Shopping Center at Golf Road and Milwaukee Avenue. Marilyn finished high school at Niles Township High School (now Niles East). Maureen went to eighth grade at Our Lady of Perpetual Help school in Glenview, then went to Maine Township High School (two years ahead of Hilary Rodham Clinton). Phi Mu Sorority, Purdue University. After graduation from high school in 1957, Marilyn applied to and was accepted at two Indiana colleges, St. Mary's of Notre Dame and Purdue University. She decided on Purdue, where she majored in English and Speech. She joined Phi Mu Sorority. Marilyn graduated from Purdue in 1961. With the help of Ralph Gust a friend of the family and President of the Proviso School Board, Marilyn got a job teaching English and Speech at Proviso West High School. 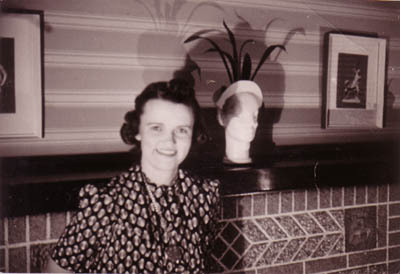 Bunny at home in Glenview, January 1960. From 1959 to 1961, Mickey attended Lincoln College, a two-year residential college in downstate Illinois, specializing in fine arts and providing opportunities for students to participate in plays, musical ensembles, dance performances, art shows and literary activities. Park Ridge, 1962-1964. In 1962, the family moved to an apartment at 1306 Carol Street in Park Ridge, and the house on Nordica was rented out and eventually sold. Marilyn continued to teach at Proviso West High School. Bunny continued working as a secretary at Milwaukee-Golf Development Co. From 1964 to 1965, Bunny worked as a secretary at Scam Instrument Corp. on Hamlin Avenue in Skokie. Marilyn married Peter Biggins on August 22, 1964, at Our Lady of Perpetual Help Church in Glenview, Illinois. Peter was an analyst at Allstate Insurance Company, and Marilyn was teaching English and speech at Proviso West High School. Marilyn was given away by her uncle Robert Witherell, husband of her aunt Lorraine Carroll Witherell. Miami, 1965-1967. In 1965, Bunny moved to Miami to be with her daughter, Mickey, who lived at the Biscayne Shores Apartments, at 700 NE 29th Terrace. 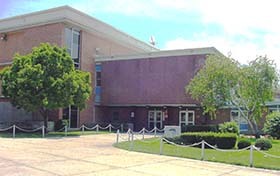 From March 1965 to March 1967, Bunny worked in Miami Beach as a secretary at Eton Hall, a large apartment building at 5313 Collins Avenue, N.E. From March to September 1967, Bunny worked as a secretary in North Miami Beach at InterAmerican National Bank, 239 NE Sunny Isles Boulevard. On September 8, 1965, Hurricane Betsy tore the roof off the apartment next to Bunny's. Flooding caused by the hurricane ruined her car. 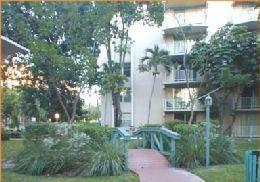 At some point, Bunny moved to 1800 S. Glades Drive in North Miami Beach. Evanston, 1967-1970. In 1967, Micki and Johnny toured the country with the Dukes of Dixieland. On October 1, 1967, Bunny moved to an apartment at 524 Michigan Avenue in Evanston to be near Marilyn and her family, who lived a block away in an apartment at 503 Sheridan Road. Bunny obtained a job as secretary to William McCanless, president of the National Bank of North Evanston, 2951 Central Street. Wilmette, 1970. 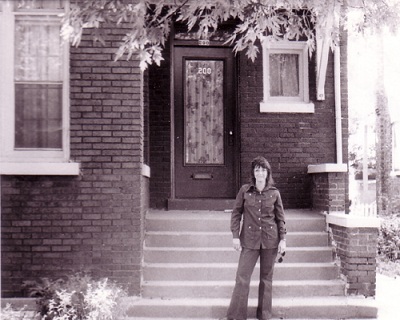 In March 1970, Bunny moved to an apartment at 307 Ridge Road in Wilmette. Miami, 1970-1981. In 1970, Bunny moved back to Miami. She lived at the Summerwinds apartments at 494 NW 165th Street Road. Bunny worked as an executive secretary at the Keyes Company, a real estate broker. Every morning, Mr. Keyes had a staff pray meeting at which everyone prayed for the success of the business. California, 1981-1983. In 1981, Bunny moved to North Hollywood, California, where Micki and Johnny had moved. 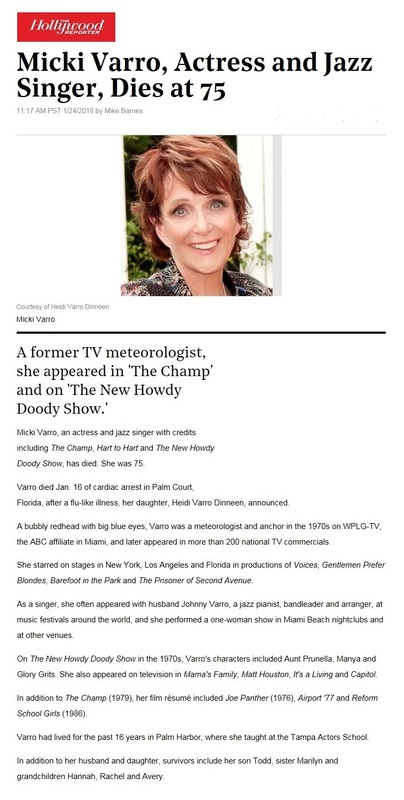 In 1982, she moved to Villa Scalabrini Retirement Center, 10631 Vinedale Street in Sun Valley, California. Dallas, 1983-1989. In 1983, Bunny moved to Dallas and lived for awhile with Marilyn and her family, In 1984, she moved to Doctors Nursing Center, 9009 White Rock Trail in Dallas. Stamford, 1989. In 1989, Marilyn and Peter moved back to Darien. In June 1989, Bunny moved to Fairfield Manor Health Care Center in Norwalk. Three months later, she moved to St. Camillus Health Center, 494 Elm Street in Stamford. 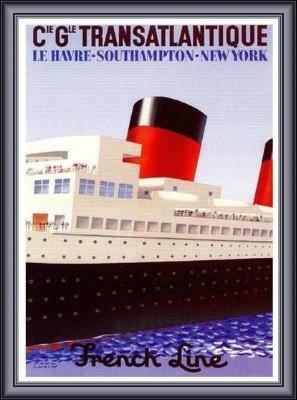 Marilyn's mother, Henrietta Kenny Carroll, died November 1, 1989, at St. Joseph's Hospital in Stamford, Connecticut. She was 81 years old. The funeral was at Divine Infant Church, the parish church of Ralph and Gertrude Gust, in Westchester, Illinois. Bunny was buried at Queen of Heaven Cemetery, next to her husband Edward (Section 32, Block 14, Lot 37). 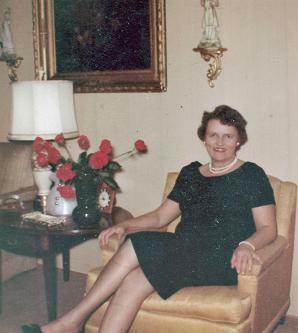 Henrietta Carroll, nee Kenny, beloved wife of the late Edward W.; loving mother of Marilyn (Peter) Biggins and Maureen Micki (John) Varro; dear grandmother of 6. Funeral service Tuesday 9:30 a.m. from Hursen Funeral Home, 4001 W. Roosevelt Rd. (SW corner Roosevelt and Mannheim), Hillside, to Divine Infant Church. Mass 10 a.m. Interment Queen of Heaven Cemetery. Visitation Monday 4-9 p.m. Info, toll-free 1-800-562-0082.